As part of their new exhibit - Italian Style: Fashion since 1945 - the Minneapolis Institute of Arts will offer a FREE screening of Men of the Cloth. 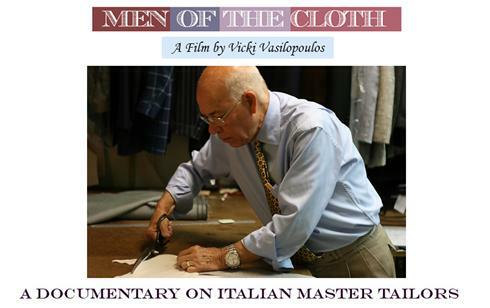 This 2013 documentary is an inspiring portrait of Nino Corvato, Checchino Fonticoli and Joe Centofanti, three Italian master tailors who confront the decline of the apprentice system as they navigate their challenging roles in the twilight of their career. The film unravels the mystery of their artistry and reveals how their passionate devotion to their craft is akin to a religion. The film will be shown free of charge on Friday, October 24th at 3 PM at the Pillsbury Auditorium, inside MIA. The documentary is in English and Italian with English subtitles.